Widely considered as one of Europe’s leading thinkers in strategy, financial services, banking, business development, payments, risk management and business transformation. Widely considered as one of Europe’s leading thinkers in strategy, financial services, banking, business development, payments, risk management and business transformation - when Chris is not travelling and delivering keynote speeches, he is Chairman of the Financial Services Club, a network for financial professionals and writing for his widely followed financial markets blog ‘The Finanser’. 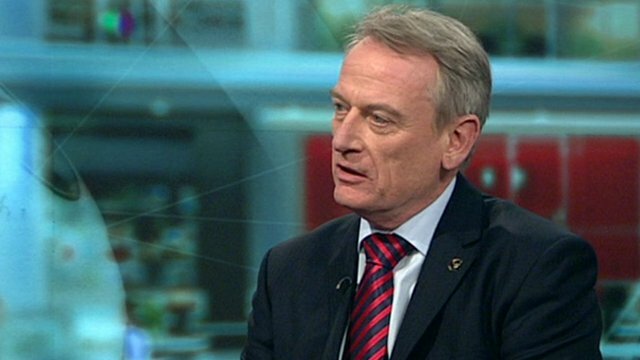 Chris Skinner is the author of several books including "The Future of Banking", "The Future of Finance after SEPA" and "The Future of Investing after MiFID". As a result his views regularly appear on news media including the BBC, Sky, Bloomberg and The Banker. Chris has also been invited to Judge the Card Awards, TradeTech Awards, Banker's Awards, Asian Banker's Excellence in Retail Financial Services program and more recently to become a contributor to the World Economic Forum. As Chris Skinner guides audiences into the banking and finance market, he offers well informed views about what the future may hold and how we can best prepare for what lies ahead. The audience couldn't stop raving about your presentation. You know you could be live at the O2 and get a full house! Banks need to focus upon two numbers: one and 2020. Bring together these themes and outline the vision for the bank of 2021. Branchless Banking and a Cashless Society Fact or Fiction? Is a branchless, cashless future a reality or a myth? What is going to happen? And How? Why is this the likely outcome and where will the issues occur? How can we avoid them in the future? Mr. Skinner is known to be an exceptional speaker which is why he is regularly requested to keynote at many of the financial market’s most prestigious events. He also regularly opens as keynote at many private industry events. His keynote addresses focus upon the key current trends and future scenarios for all areas of financial services, across retail and investment markets and payments. Thank you again for a truly terrific presentation at our SAP Banking Summit event here in The Hague. The event was overall a great success and your participation was really one of the highlights of the entire three days." Chris spoke at a recent Cambridge100 Club Dinner about the next big developments in technology and what these will mean to business. This was a remarkable talk - insightful, compelling and informative. Chris is a visionary and futurologist with a real command of the factors which shape our future.